Gillette's clever commercial work has disrupted the traditional advertising tactics used in the male personal care category, and allowed Gillette to enter into a relevant, and topical conversation, argues Bec Brideson. 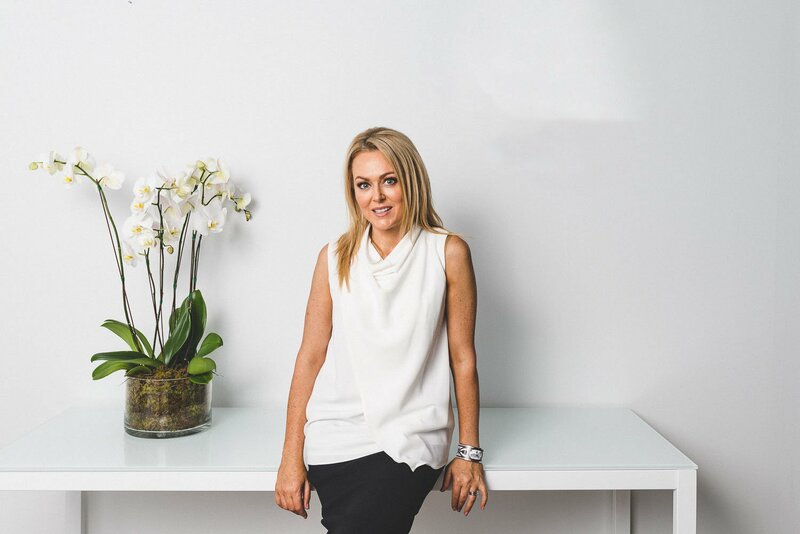 Bec Brideson helps businesses and brands through better understanding the power of gender differences. I was all set for a chuckle – but I find most of your commentary insightful and fresh. I think you are ultimately expressing a view that the ad is not a success because people (in this case men) will not connect with being negatively categorised. On that we are agreed. Hi Bec, I have been critical of your opinions in the past but do not recall making any personal attack on you. I apologise if I have offended you. I like Bec’s analysis and approach. Interesting take on this ad, but isn’t the bigger problem that we are still constructing these arguments in terms of gender binaries that should be irrelevant in a modern society? The simplistic left-right spectrum employed to illustrate this argument is patronising and dated. Assigning traits to a gender is reductive and perpetuates the issues this ad is ultimately trying to address. We all feature a mix of these traits and messaging should be targeted to play to and celebrate our better instincts, not reduced to whether it is aimed at ‘males’ or ‘females’. If they were serious, Gilette’s tagline would change to ‘the best we can be’. Then they could also drop the ridiculous pink/blue gendering of razor blades and reduce duplication and waste. Just a thought. Yes yes yes! Give him a free razoblade pack! It’s spread so much hate it’s upsetting. Am fascinated to see whether it will succeed like Nike or hit the, “Get woke, go broke” narrative. I suspect we’ll see more or less from others depending on the results. Certainly, many of its defenders aren’t its customers. Most ‘pro’ comments seem supportive but a high proportion ‘anti’ comments have huge numbers of Likes. It’s not the feeling that I’m being attacked that irks me about this ad. It is the assumption that I’m responsible for calling out other men’s behaviour. I’m responsible for my own moral decency and try to act in ways that reflect positive values to the benefit of the society in which I live. Other men are on their own journey with circumstances entirely different to mine. And no, that doesn’t mean you stand around and let someone be assaulted. Men are absolutely responsible for calling out other men’s behaviour. “The standard you walk past is the standard you accept” is just sanctimony justifying social justice warrior’s forcing their morality on everyone else. I’m calling out your behaviour, I don’t accept it. You literally just admitted that you are ok with sexual harassment. Well done champ, you’ve proved the point. Any ad that categorises people in a mass group, and then attributes negative traits to them is never going to go well. I can’t imagine it would work well for selling women’s products to women if you said, come on, stop grabbing money in divorces or holding the kids in family court – be better women! Not sure about the analysis: if you take all the bad aspects out of the ad, it will be a good ad. It has got those bad aspects in it. As a point of reference Gilette market pink razors called ‘Venus’ to women, which I find sexist. It’s called jumping on the bandwagon. Clever on their part. But it’s still about making money. Give 5% of sales profits from male products to women’s charities. Then we’ll talk. “Although critics claim Gillette is simply latching onto a trending topic, the brand has vowed to donate $1m a year for three years to non-profit organisations with programs “designed to inspire, educate and help men of all ages achieve their personal ‘best’ and become role models for the next generation”. Surely $1m a year for mutli billion dollar company and a brand for which the purchase price value was approx $57 billion is tokenism. You make a fair point but let’s put their donation in perspective: $1million per year from a company who reported revenue of $66.8billion for 2018 isn’t a huge amount. And 5% of profit from female products to male depression and suicide would be a nice counterpoint. Good commentary Bec. I’m a man in my 50s and, although there are aspects of the creative I would have done differently, I think the outrage over this is pathetic. Until now, Gillette has treated me like a two-dimensional moron who would only respond to hypermasculine references of racing cars, jet fighters and “winning the girl”. Surely that was far more offensive than this. Gillette is no corporate angel and I get the charges of hypocrisy, but looking at it in terms of brand strategy, I think it is a smart, gutsy move. You are 100% on the money referencing the jet fighters and racing cars. Now that we can reflect back on their past creative… how ridiculous! Something tells me these outraged fellas will forget this in a month anyway and go back to buying their Mach3 cartridges. …..Or at least their wives will when they lazily write ‘shaving foam and razors’ on that list on the fridge. Either way, Gillette sales will not suffer for this. Something also tells me that Gillette will go back to racing drivers and sports stars very soon. That same something also tells me that this woke approach will only be applied to developed markets and we will still the the “sexist” approach in developing markets. Greetings from Poland! Gillette is a sexist here as you can get. No problem! Also no problem to cooperate with extreme right government here, no complaints what-so-ever. On a related point, I used to buy Gillette until a few years ago with increasing annoyance at the staggering prices. The Coles and Woolies own brand 5 blades are just as good and a fraction of the cost. It’s an important message, but the tone is wrong. It’s not inspiring better behavior, it’s condescending and transparently aiming for controversy to sell razorblades. Intentional outrage generator, rather than genuine, authentic commitment. A missed opportunity. I hate it because men with stubble or beards are apparently bad men. only the good ones have clean shaven faces. Look closer – 43 men have bad behavior. 42 white. 7 men have good behavior. 2 white. The sledgehammer has really been swung at this one. We have learned nothing from DNC vs Trump. Alienating your target with negative messages does not make them like you more. I think the strategy and intent is good, well played. But the execution isn’t the greatest. A massive brand genuinely helping men be better feels right, but making a statement that most of them are horrible people doesn’t vibe with me. 99% of the men in my life – Dad, brother, friends, colleagues are brilliant people. Without them, I wouldn’t be an awful lot. Admittedly this isn’t the case for everyone, everywhere, but it does mean I can’t personally relate to it. It’s impossible to quantify it, so instead of putting our marketing hats on, think about the men in your life. Are they like that? If they’re not, this campaign could have a problem, so let’s try and be objective. The question is, are the billion odd people that use, or could use their razors like this? Is it a reality, or a construction of another reality. To be honest, I don’t personally know them all well enough. I can’t say if this will work or not. I’m also very pleased my wife pinched me on my arse in a night club, because we’ve been together ever since – knocking on 15 years. On a serious note, and as someone who has lost more than one friend to this, the suicide rates of men continues to increase to horrendous levels. Perhaps Gillette could of better helped here. This is something I would of got behind and probably purchased more of. Instead, I’m writing a comment about an ad that could of done more with a big bundle of cash. I understood this ad to be calling out a culture that breeds toxic masculinity. A culture that teaches little boys it’s weak to show emotion. The culture that leads to depression & high suicide rates in men. The culture that makes men feel less than if they not smashing weights and rooting chicks. That same culture breeds violence against women. And as we’ve seen with the sexual assault and murder of Aiia Maasware this violence is real and it happens every day. The message from the Gillette ad is important for EVERYONE. What a misnomer Human is.To bring the tragic death of a Aiia Maawsarwe into a discussion about a bloody Gillette TV ad beggars belief. How can you not see the two are connected? A wider discussion about a global brand calling out toxic masculinity, while at the same time a woman is sexually assaulted & murdered. The attitudes Gillette are asking men to re-think are the very attitudes that sew the seeds for the violence perpetrated against Aiia Maasware and women across the world. Advertising at its best has always not only reflected current culture, but moved the conversation forward. That’s what I love about this ad. On the other had, I was concerned at it feeling ‘preachy’ to men. Perhaps it wasn’t aimed at them? Don’t women buy all the razors?? Finally, I think Lynx did a great job of moving on from ‘falling angels’ with an unconventional talent (red hair, big nose) who was empowered to be himself. The rest of the ad showed a diversity of strong, fun and fabulous guys being who they are, in an empowering and inspiring way. Decent self-respecting men have always called out others who show bad attitudes towards, or utter opinions disrespectful to women. Most men that I am proud to associate with have balanced and respectful opinions regarding women. I do not have a sister, but I had a Mother and I have daughters, granddaughters, a niece, and respected female cousins, I also have many close female friends and colleagues, and have worked for/with several female bosses. I mention this because there is a tendency to treat the subject of human interaction as if there were men on one side of an imagined battlefield and women on the other, and of there being typical men and typical women in this gigantic pool of human beings, which is made up largely of males and females. Many recognise the individual rights of trans gender and all who identify as outside the male or female definition, yet we stress and bicker about the major gender types. The Gillette ad is just that, an ad for a product heavily associated with the male habit of shaving the face, not a dictum on gender based behaviours and responsibilities. To me, the ad appears to be grandstanding and over preaching, in a percieved environment that the producers imagine will win them PC brownie points. I agree with many of your points Bec, but I also have a few issues. Firstly, I don’t think you really understand what the #metoo is about. “#MeToo is about sexual harassment in the workplace” is a really simplistic way to deconstruct a movement that has been around for 10 odd years. Yes, it’s place in pop culture has transformed it’s common signification in the past 18 months (to the point where it’s creators don’t recognise it anymore), but this is proving to be an issue (especially when marketers try and tap into cultural movements as they fundamentally shape the meaning around them). I think we’ve got to be more critical as an industry of multinational corporations telling us how to improve society, our lives, and the world, when they themselves are perpetuating a system that isn’t working for men or women.